virtual ebooks a place for free ebooks for students. engineering books , physics, mathematics , computer, software, hardware. everything in just once place. 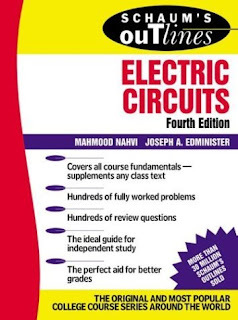 Description: This new edition of Schaum’s Outline of Electric Circuits give readers a thorough foundation in the theory and operation of electric circuits. This bestselling outline combines brief descriptions of theory with illustrative examples, solved problems, and supplement problems to provide a direct and effective tool and methodology for learning.